In previous research, Saklayen and her collaborators demonstrated that gold, pyramid-shaped microstructures are very good at focusing laser energy into electromagnetic hotspots. 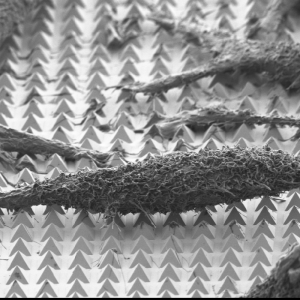 In this research, the team used a fabrication method called template stripping to make surfaces—about the size of a quarter—with 10 million of these tiny pyramids. Using nanosecond laser pulses, the team heated the pyramids until the hotspots at the tips reached a temperature of about 300 degrees Celsius. This very localized heating—which did not affect the cells—caused bubbles to form right at the tip of each pyramid. These bubbles gently pushed their way into the cell membrane, opening brief pores in the cell and allowing the surrounding molecules to diffuse into the cell.